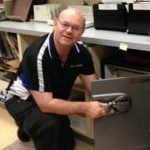 Mr. Locksmith Abbotsford includes Locksmith Training in Langley BC and On the job Training in the Lower Mainland, basic locksmith tools, key machine, code key machine, car opening tools, pin kits, hand tools, cordless drill, basic locksmith stock and much much more! Great Deal on one of the few remaining Mr. Locksmith territories in the Lower Mainland. Also, includes Mr. Locksmith 2009 Ford Ranger Pickup with ARE Canopy. All Locksmith Training Included. Hands-On, On the Road, On-Line Training and One on One Locksmith Training.